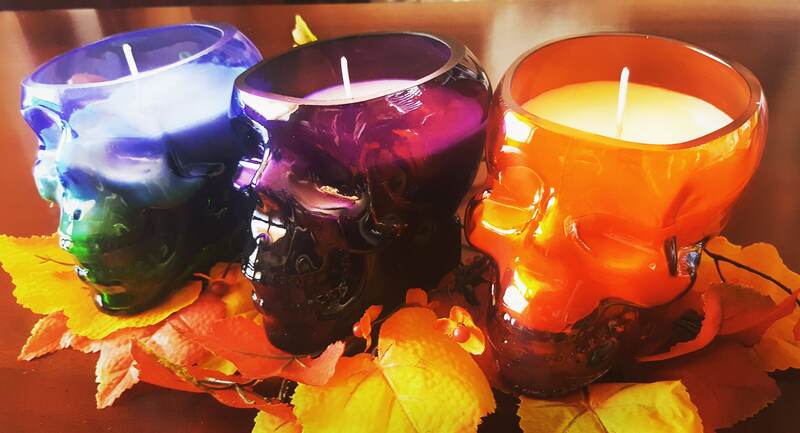 Theses are handmade large soy candles. 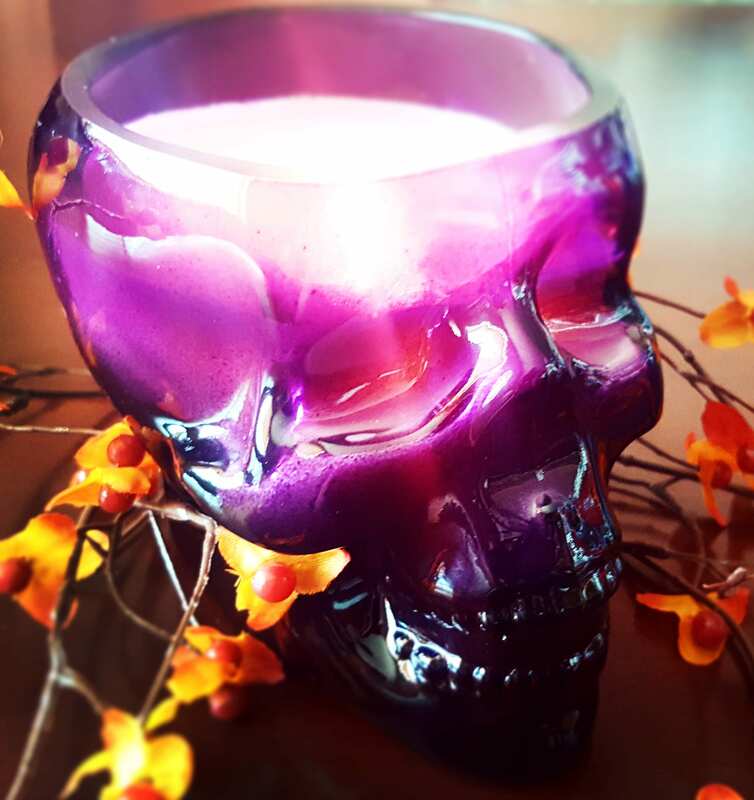 Witch's Brew Yankee Type is the fragrance. They have 16 ounces of wax in them. The container is a heavy glass skull. 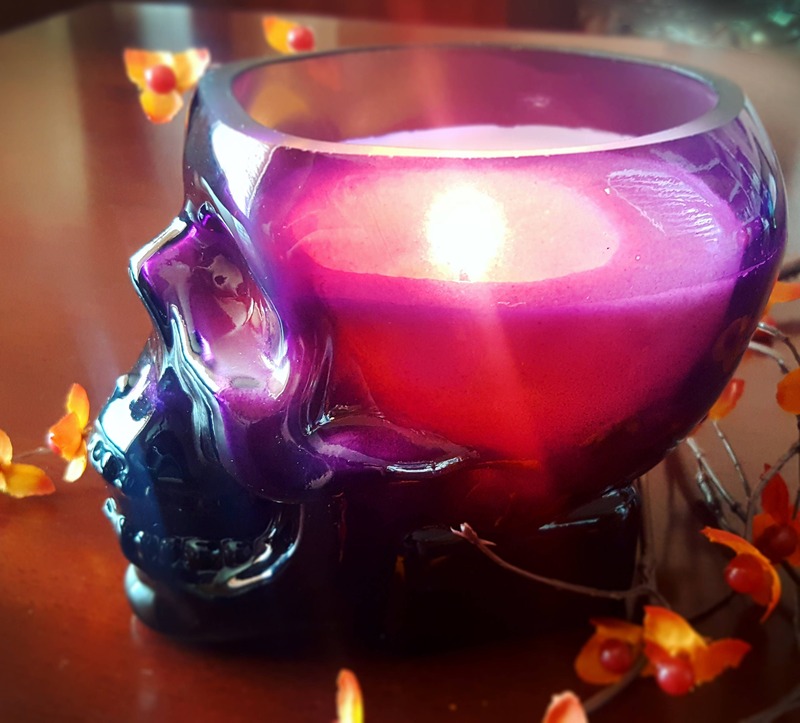 Because soy wax is so easy to clean out of a candle container when it is empty this is a container that you can use for many other things and will want to include it with your Halloween decorations for years. The overall weight of this candle (container + wax is just under 3 pounds). These are available in red/orange - purple - clear and a blue that graduates into green. We added no color to the wax so it is a nice creamy white color. 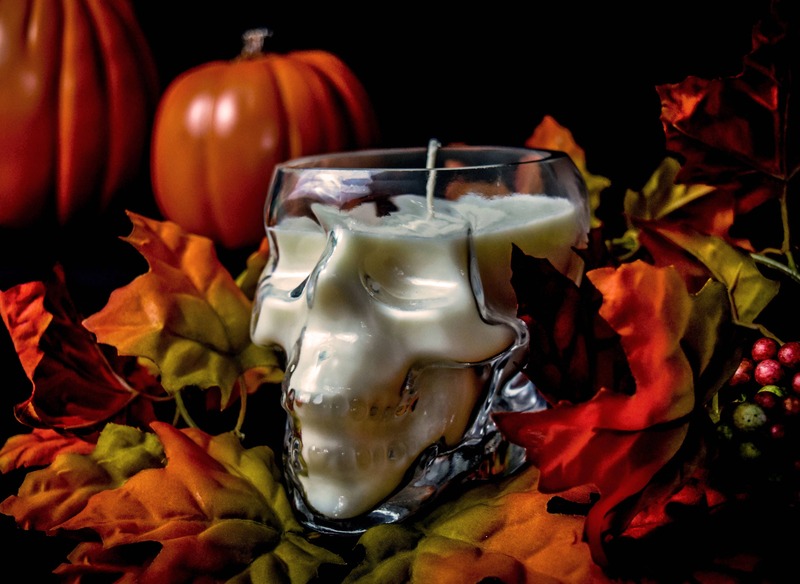 These candles are very limited and when they are gone we will not be making anymore. Shipping is based on weight of package and destination. These will ship USPS priority. Thank you for shopping with us and please feel free to contact us with any questions. Came very well wrapped, looks & smells great!